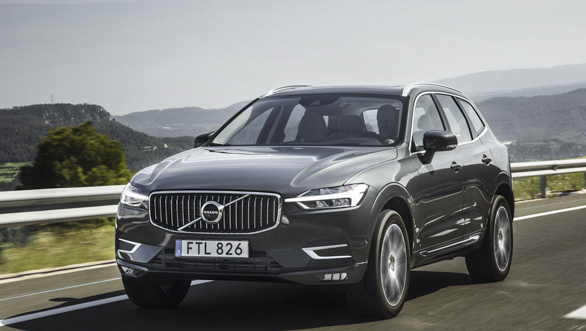 The Volvo XC60 is a massively important car for the Swedish car company. It represents nearly a third of all Volvos sold. And, as the company is happy to remind you constantly, the XC60 'became Europe's largest-selling SUV in its segment within seven years of its launch. 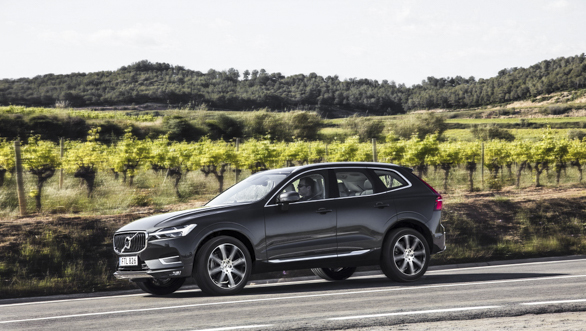 So you can be sure that the Volvo XC60, an SUV that is similar in size to the BMW X3, the Audi Q5 and the Mercedes-Benz GLC, has been carefully designed to further what is already a success story for Volvo and to take it to the next step. The Volvo's new-generation product was revealed at the Geneva Motor Show earlier this year and we've just driven it. More to the fore, the Volvo XC60 is expected to go on sale in India towards the end of 2017 at a price around Rs 55-60 lakh. Even at the outset you might think that sounds like quite the price jump - the current Volvo XC60 is Rs 48-52 lakh. Well, let's reserve judgement and look at the Volvo XC60 in detail first, shall we? 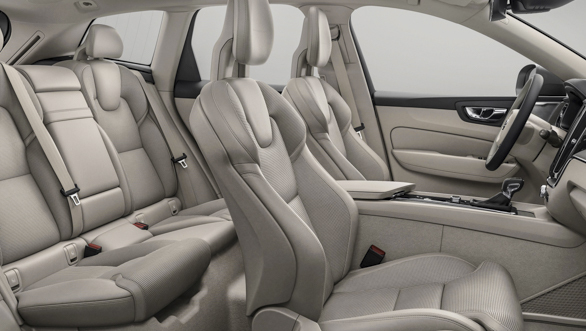 Like all the new Volvos, the XC60 is also based on the SPA, or scalable platform architecture. 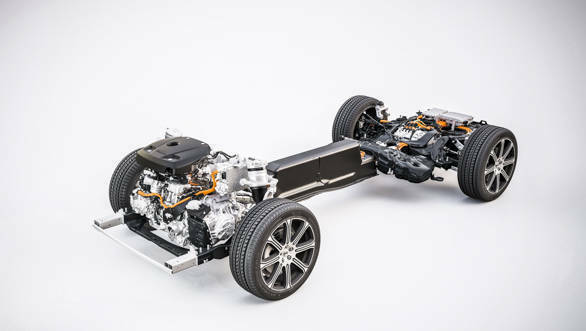 Volvo's SPA is a really simple idea in the sense that the chassis platform has a fixed front axle to the dashboard distance, but the rest of the elements are movable, allowing Volvo to create vehicles of different sizes and roles easily. To wit, the XC60's design pushes the wheels to the shortest overhangs yet - but the forthcoming V60 will have shorter overhangs still, says Volvo. But at the same time, the fixed part of the frame allows a lot of the same good qualities as the XC90 to manifest in the XC60 as well. 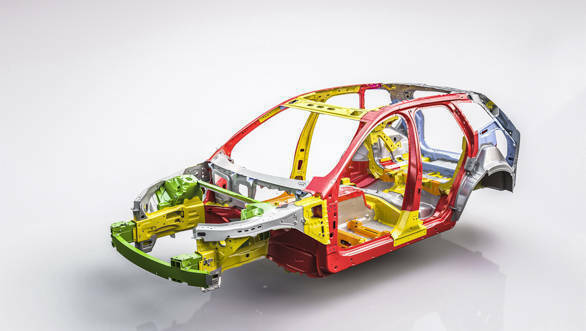 Volvo also upped the use of high-strength steels to lower the weight of the XC60, and 235PS D5 to D5, the XC90 D5 and the XC60 have the same engines but the smaller SUV is 200kg lighter. The Volvo XC60 gets a bunch of engines but only two are of direct interest to India. The petrol engine - Volvo India has not decided so far - which might go on sale in India at some point looks likely to be the T6, although the T8 hybrid is also being considered. The new GST takes a surprisingly dim view of hybrids and that might nix the T8. The T6 is a super- and turbocharged 2-litre inline-4 that makes 320PS at 5,700rpm and 400Nm between 2,200-5,400rpm. The engine that is confirmed and what we will focus on for this story is the D5. The D5 is a 1,969cc inline-4 diesel with two turbochargers. It makes 235PS of peak power at 4,000rpm and 480Nm of peak torque from 1,750rpm to 2,250rpm. It is an engine that does duty on other Volvos in India as well, and the state of tune is identical to the new XC90 D5 that is on sale in India. For India, the car will only get the all-wheel-drive automatic version with the high-end Inscription trim level. It is, in fact, the exact car we drove in this story except for the 20-inch wheels. India will receive the 19-inchers, albeit in the same pattern. 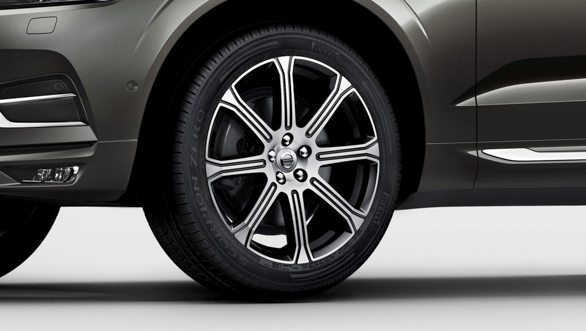 The Volvo XC60, like all its other SPA-mates, uses a double-wishbone front suspension and an integral link rear set-up. The Indian XC60s will have air suspension as standard as well. The little jewel-like drive mode selector allows you to choose from driving modes like Eco (maximum efficiency), Comfort, Dynamic (maximum performance), Off-road (for low-speed off-road use) and Individual (a custom mode you can set up). Each selection includes changes to the brake pedal feel, steering effort, suspension settings, information displayed on screen and energy saving measures. Obviously, the mode selection also alters shift points, traction control level and other powertrain options. No discussion on a Volvo can be complete without talking about the safety systems, yes? And the list is nearly endless. The main systems that are new and noteworthy from their new perspective include the steering assistance systems, oncoming car collision avoidance systems and others. The Volvo XC60 monitors with world around with radar, ultrasound and visual cameras. The steering assistance systems can now ensure you are centered in your lane and that the car can follow lane markings around turns, when, for example, you are in traffic. The new ability is to add force to your steering if the car detects an impending collision and the fact that you are steering away from it. It can also prevent you from pulling out into a lane when there is a car in your blind spot in your intended lane, or if you've steered into the path of an oncoming four-wheeler during an overtake. The XC60 also gets Pilot Assist which combines a range of sensors and systems to allow you to let the car drive semi-autonomously as long as the lane markings are clear. The system can follow a lead vehicle down to a standstill if needed, but open road operation can now be accomplished without the need for a lead car as was in some of the earlier versions of the system. The beauty of all this is that Volvo India has figured out the radar permissions puzzle, and now the Volvo XC60 will get a long list of radar-based forward- and rearward-looking systems that will be on duty when the car goes on sale in India. The effectiveness of these systems in our conditions, though, is going to be a big part of the road test. 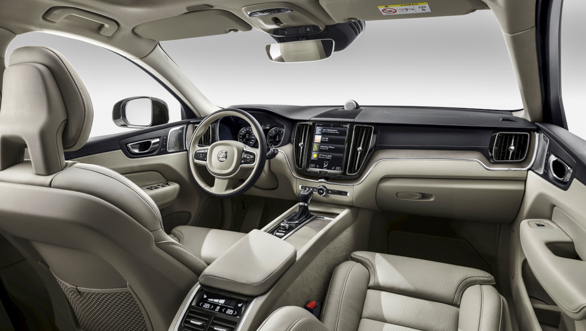 Volvo also rolled out updates to its highly regarded Sensus system, and the XC60 gets the Sensus Connect upgrade. The most obvious change is the arrival of larger fonts, so reading the big touchscreen is much easier. 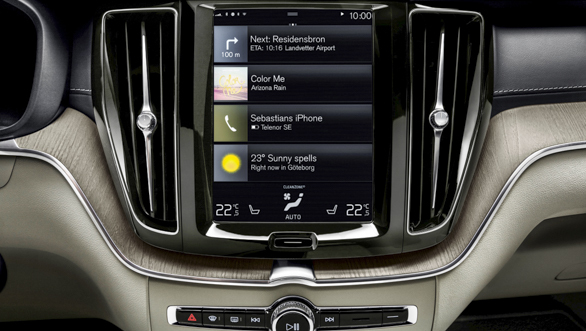 Volvo also redesigned a number of menu structures and interactions to make the car more intuitive to control. The new system still organises information into what you need immediately, like the next step of your navigation and stuff you can glance at, like the whole route. 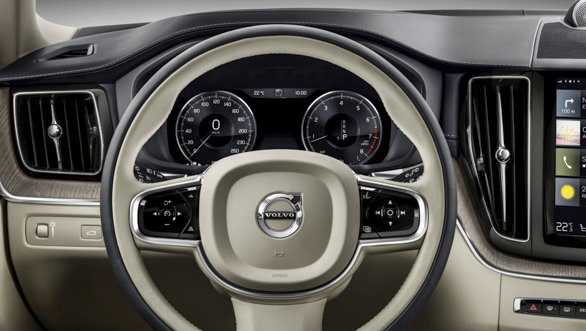 The former is presented in the screen behind the steering wheel while the rest goes on the big central touchscreen. It's an effective way to display information. India won't get it but Volvo also has its On Call system that now includes cloud-based functionally that in the Nordic countries, for example, let other Volvos know about slippery road conditions. How is it to drive, but? In a word, lovely. Absolutely lovely. The first thing that strikes you is how quiet the cabin is, and yes, I am talking about the D5 diesel. At idle, the clatter is audible on the outside but barely any makes it inside. I was very surprised. Performance is laid-back without feeling slow. Volvo started this with their S90 which was billed as a relaxed car, neither too sporty nor too plush. The XC60 follows that direction and it does a smashing job of it. So while highway cruise speeds are easy to hold onto and rapid overtakes take little effort, the sense of serene calm inside the cabin is all-pervasive. It makes the high-quality Bowers & Wilkins audio system even more valuable because the calm cabin allows you to listen closer without taking away from the driving. The interiors are superb too. I really liked the light, almost ash-coloured driftwood trim, and the metal accents in silver are a classy touch. 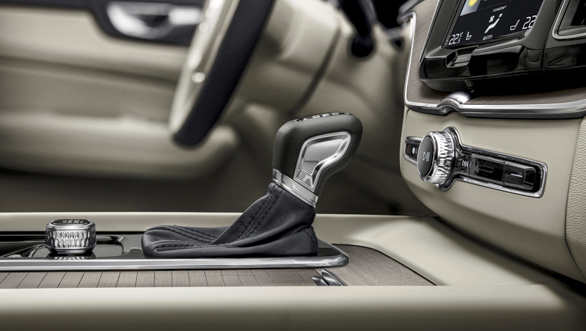 There's a Scandinavian restraint and functionality to the design and layout that you just cannot miss. Even to the uninitiated, the Volvo cabin will feel familiar rapidly and the only confusion is that some of the systems, like Pilot Assist, need a little bit of 'learning' to figure out. The ride quality can feel stiff but there's no escaping how comfortable the Volvo XC60 feels to drive. The seats are fully adjustable, including the bolsters and well-crafted ride matches up rather well to create a car that feels very cosseting without feeling overtly plush. Handling is direct and pleasing but because of the focus of comfort and the ride quality, you will notice some amount of roll. The XC60 can be pushed very hard around corners if you like but expect the roll to be a companion. It never misbehaves in any way though, so switch to Dynamic mode and have fun. 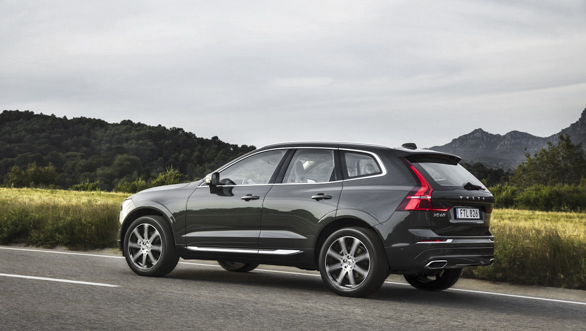 The Volvo XC60 is an extremely impressive small luxury SUV. The Inscription trim is fully loaded and it is a good SUV to drive as well. I really do like the styling and that adds to the appeal. The Thor's Hammer DRLs are now extended to touch the chrome grille, and it looks both distinctive and smart. The definition line on the side body underlined by the extended chrome trim looks great to my eyes, and the rear is an unmistakably Volvo design with the vertical tail lamps et al. It looks sleek, fresh and un-German. And it drives like that too. It feels a lot more supple in set-up than its German counterparts, and the light hues of the interior are very far from the usually darker layouts in the Germanic designs too. As you can see, I rather like the XC60 and I do fancy its chances in India. Volvo has not confirmed launch dates or prices but the car is expected to arrive before the year is out, likely in October. We expect a mild price hike as the Inscription trim is coming with all the bells and whistles. Volvo did announce its CKD intention but for the moment, only the XC90 is entering assembly and in any case, Volvo India says the prices will not change for the customer. So that's the Volvo XC60. It's a solid update to Volvo's top-selling model and it looks like it's going to make a few German SUVs sweat a bit.